I have a bumper offer only for you. I will provide you 30 comment very fast on your link add only $3. It is cheap rate than other offer and supper fast delivery. It is my professional service. If you purchase my service first time give some bonus. ★ My service is real. ★ My service is very fast. ★ My like is also real. ★ Like is non drop. 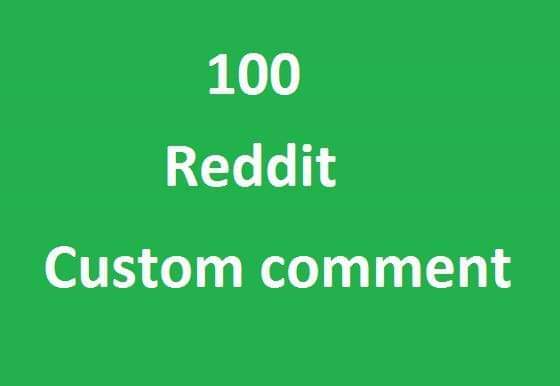 30 reddit customs comment very fast is ranked 5 out of 5. Based on 344 user reviews.